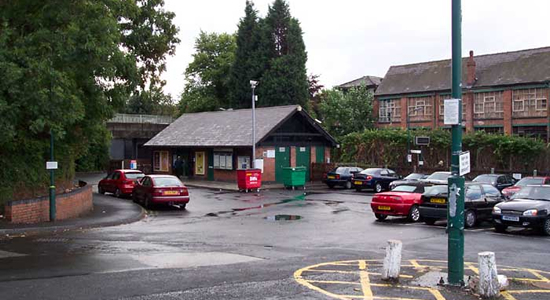 The history of Redditch Station is the most complex in the area covered by this site being that the station above is in fact its fourth incarnation. Redditch Station first came into being in 1859 and closed just nine years later in 1868, only to reopen later that year in a different spot where it stayed until 1974. It then shifted location again where it remained until 1993 - finally coming to rest in its current position! It now forms the terminus of what was the Midland Railway's 'Barnt Green to Ashchurch Branch'. 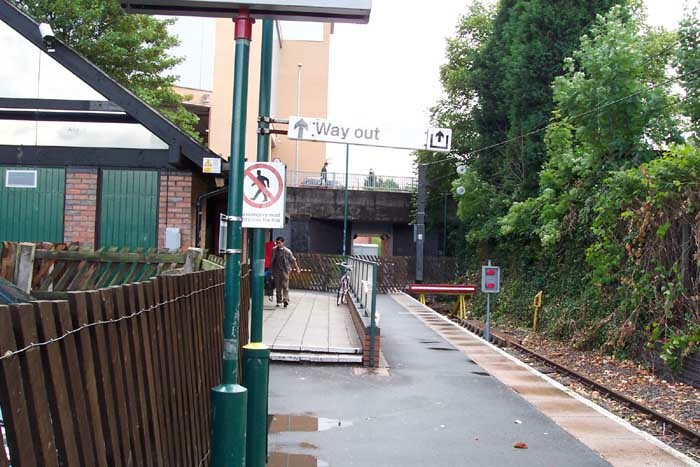 Above we see the current Redditch Station entrance from Windsor Street/Unicorn Hill car park, August 2003. Above-left we are on the sole platform looking towards the station building and buffer stop. Above-right is a close-up of the previous perspective clearly showing the station building and buffer stop. Just beyond the buffer stop is a now-pedestrian tunnel under Windsor Street which marks the old trackbed and leads to the site of the previous station(s). 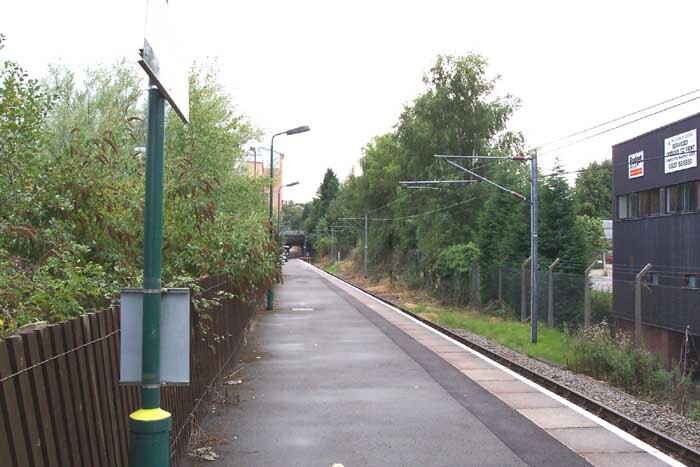 Above-left we are at the other end of the platform looking towards Alvechurch and the large wasteland of 'Pound Meadow' which lay next to the station, part of which has become the station car park, until 2006 when work began claaring the site for a housing development. 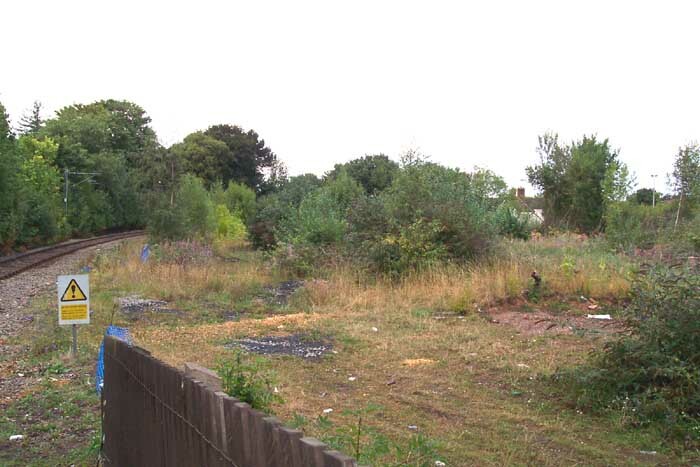 This area of land once housed the goods yard which could handle in excess of 188 wagons and housed facilities such as cattle pens, a weighbridge (sited around the entrance to the present-day car park), privately owned sidings for local coal merchants T & M Dixon and the Redditch Town & District Gas Company, and an engine-shed and turntable. 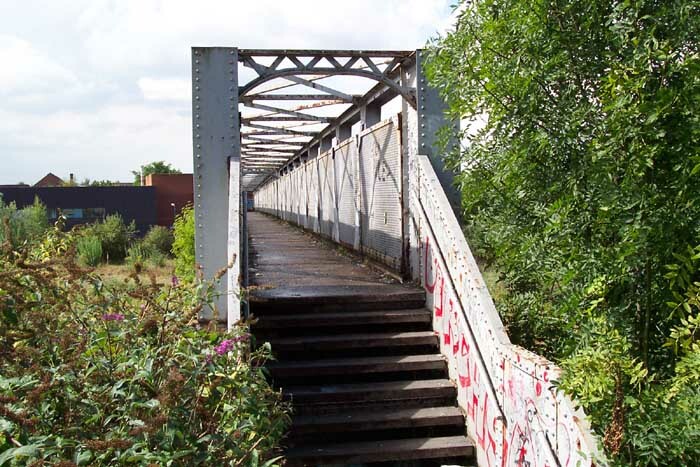 The only significant surviving relic of the goods yard is shown above-right: we are looking into the mouth of a footbridge from Hewell Road which spanned the entire site until the aforementioned redevelopment work at which point it was truncated and now only spans the active line itself. 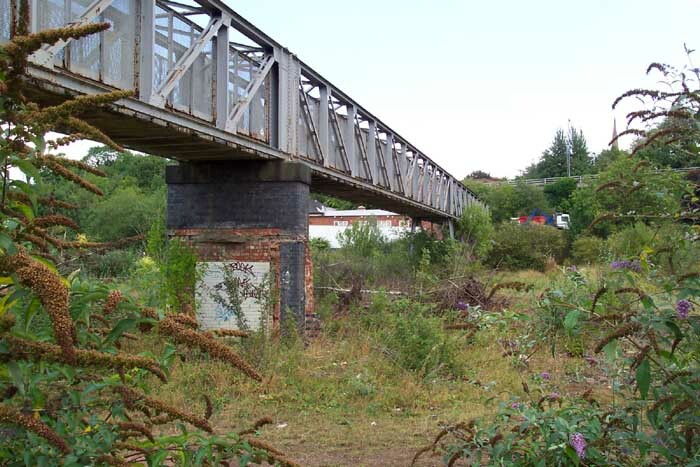 Above is a clearer picture of the footbridge taken from the end of the platform and looking across the wasteland of the old goods yards to Hewell Road and is, alas, no more!